Here's a quick and easy D.I.Y. that's sure to be a great picker-upper as a gift for anyone. ...Even to the people in your life who seem to have everything. You can probably create your own Sweet Nothings jar just by rummaging around your drawers and kitchen cabinets. Any sort of jar will do. I just chose an air-tight one for mine because that's what I had lying around. 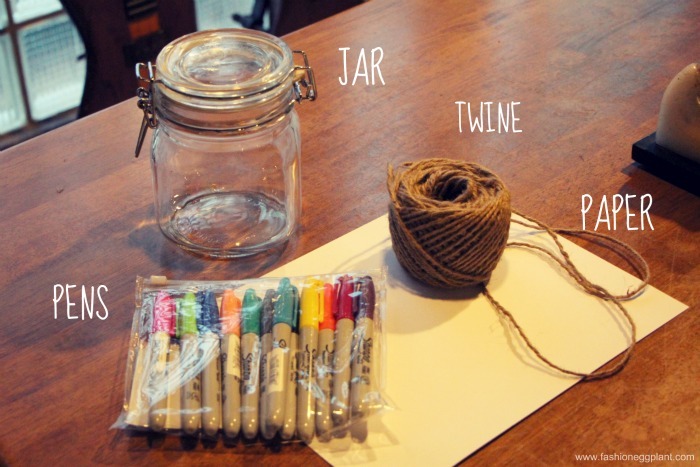 Aside from the jar, you will also need: twine/ribbon or whatever you would like to use to decorate your jar, scissors, bond paper, pens, glue. Decorate with twine or whatever. Fill jar with love notes, poems, special traits you like about the person, etc. It's up to you really. You can even opt to add pearls, candies, confetti, glitter, etc. I just felt like being minimal with mine. And there you have it, a "Sweet Nothings" jar! You can even leave in optional instructions if you want like: "take one per day after breakfast"/for PMS purposes only etc. where did you buy that beautiful jar? WHERE DID YOU GOT THE TWINE?